Brooklynn is a highly spirited six-year-old girl who is full-of-life despite fighting the overwhelming odds of spinal muscular atrophy. The disease progressively weakens her muscles and strength. Sadly, she is unable to walk and cannot sit upright without support. Brooklynn can raise her head, but has difficulty beyond short periods of time. Brooklynn is an honor roll student in school and is highly motivated to succeed in all of her classes. Like many girls her age, Brooklynn adores Disney princesses, especially Ariel from “The Little Mermaid.” Just as Ariel loves to sing, so does Brooklynn. For fun, she enjoys singing karaoke using her family’s tablet and finds creative ways to dance. For Christmas, Santa even built Brooklynn a mini-stage and dressing room to prepare for her big performances! She is quite the diva! Brooklynn’s happy and fun-loving nature inspires everyone around her. Brooklynn desperately needs a roll-in-shower. She currently uses a bathtub which is precarious and unsafe for a girl with her disability and limitations. 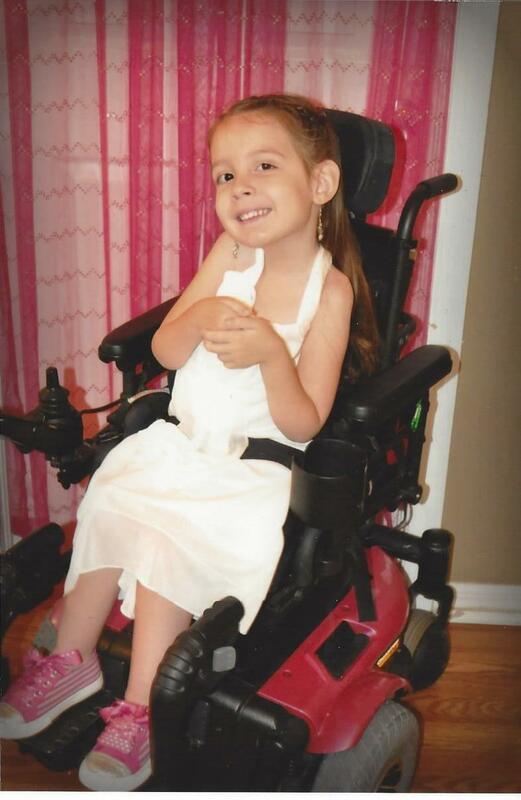 A roll-in-shower will allow Brooklynn to utilize a special shower chair that is safe and easy to use.